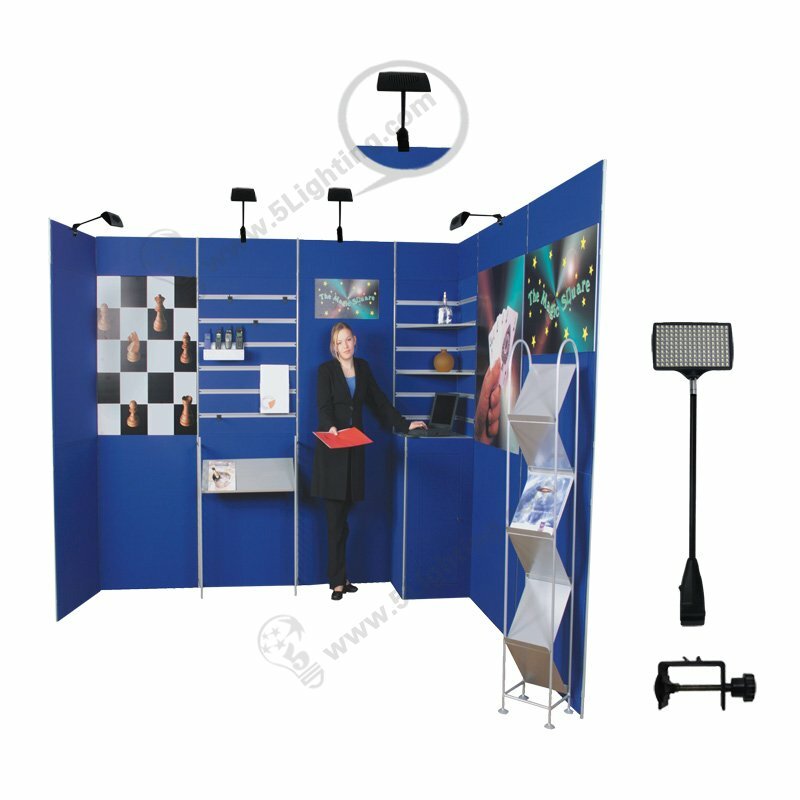 Panel display board lighting 12 w, Exhibition display lights for folding panel board applications. 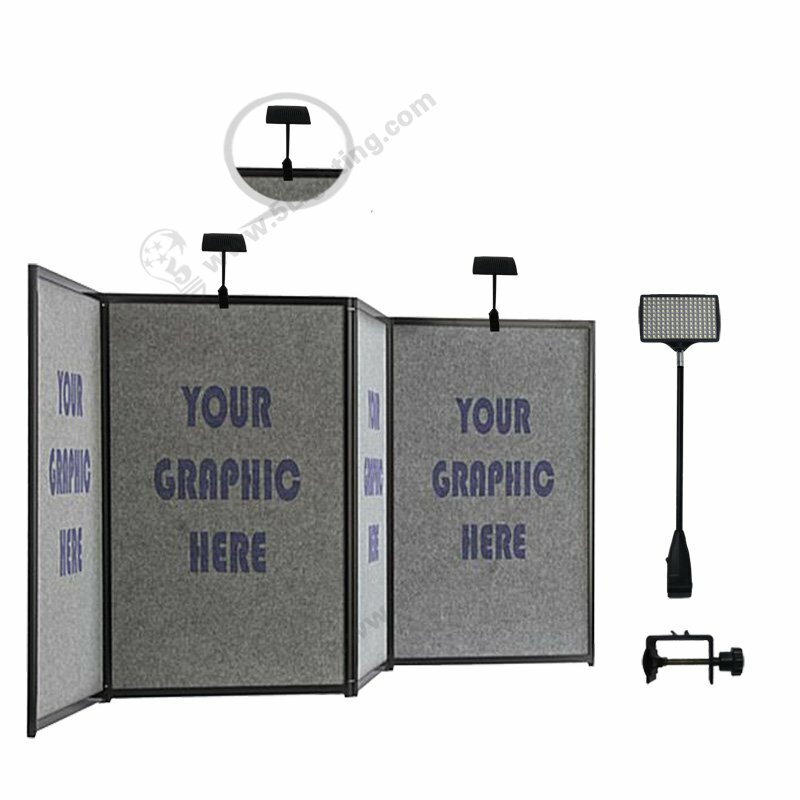 a) Trade show lights with multi-clips for folding panels 12 watts is suitable for the folding display board system in a trade exhibition, and can make it on the panel can be fixed in any place with an adjustable tail clip. 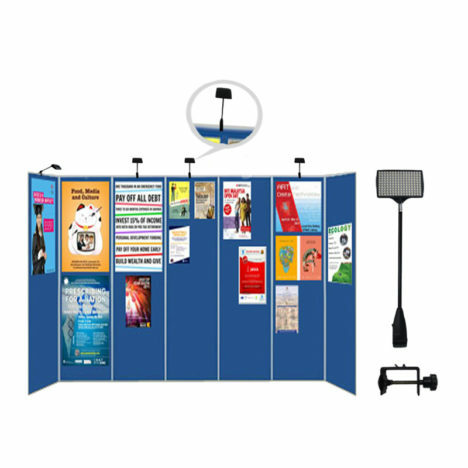 b) Panel display board lighting LXS160-002-A adopts 160pcs super flux led chips as lighting source, with anti-blue eye effect, and never change a light bulb again, compared with other lights more inexpensive and durability. 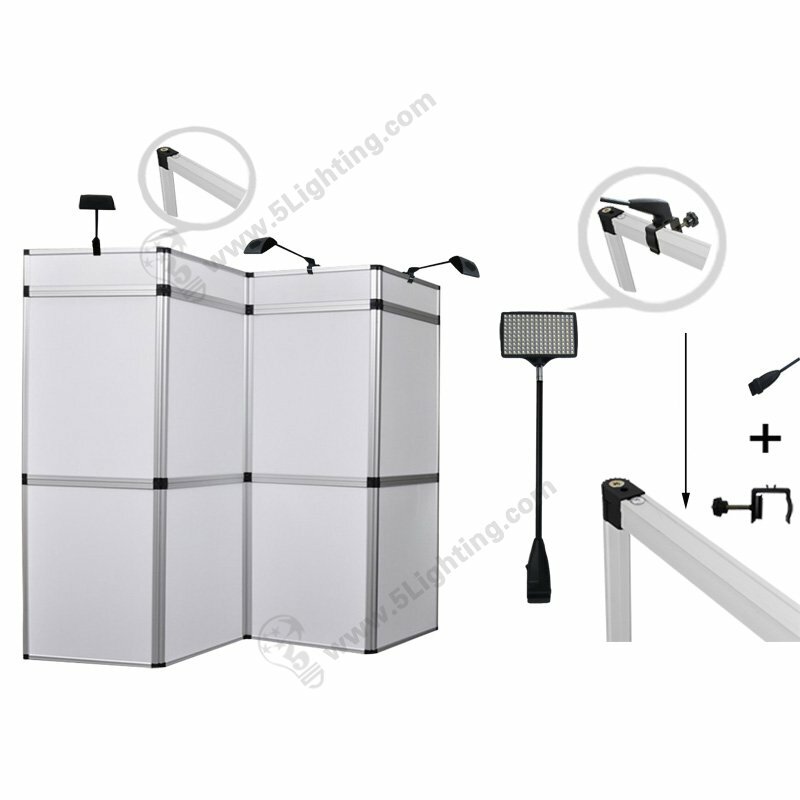 c) Exhibition lights for panel display 12 W are ten times that of the traditional halogen lamps, but it produces brighter white light, can more accurately describe the display of the product. 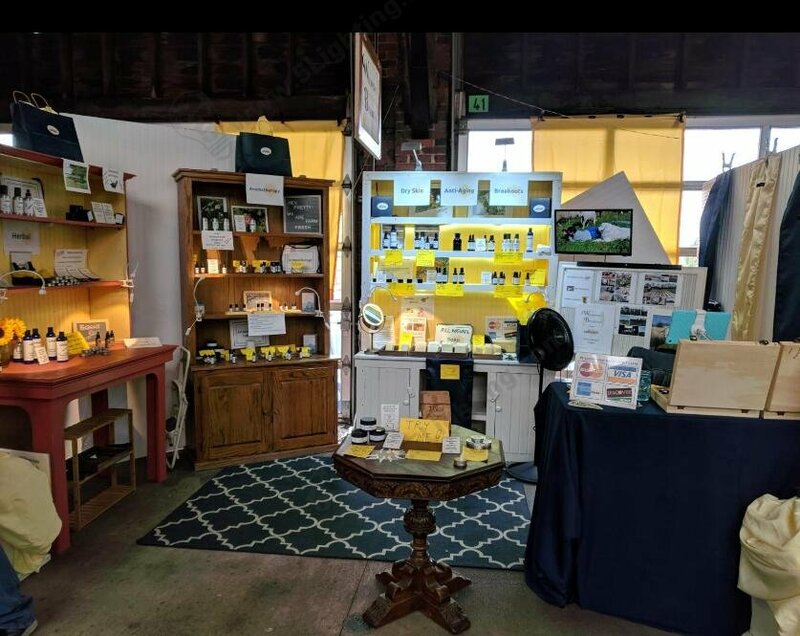 It is the best substitute for traditional 150W Halogen panel display board lighting, and less power than the halogen lights, at the same time it is not flash and glare. 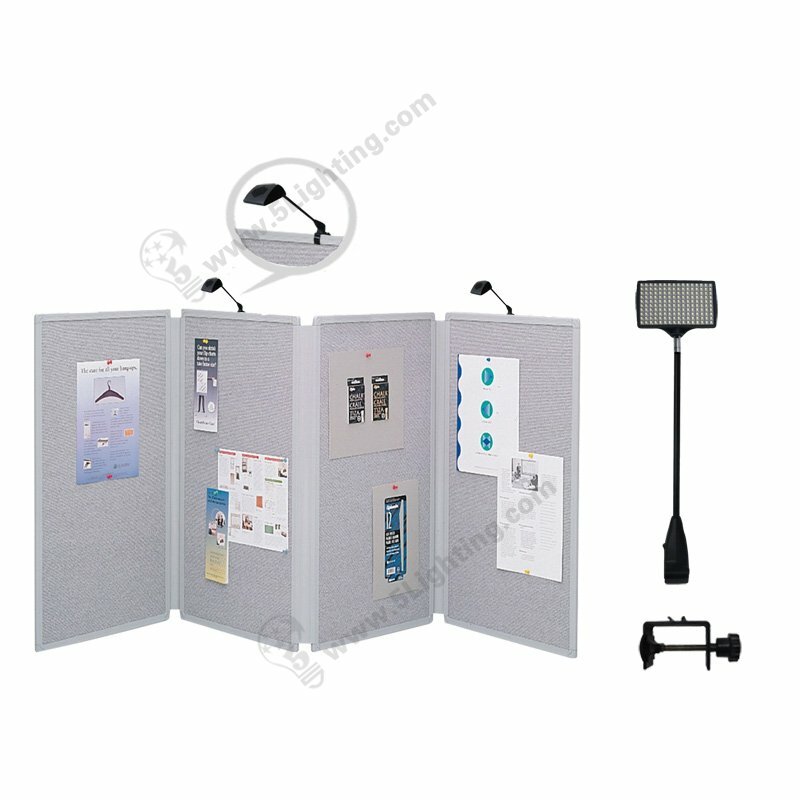 d) Panel display board lighting with multi clamp LXS160-002-A is made of ABS + Metal materials, and is very portable. It has a life span of 30,000 hours. 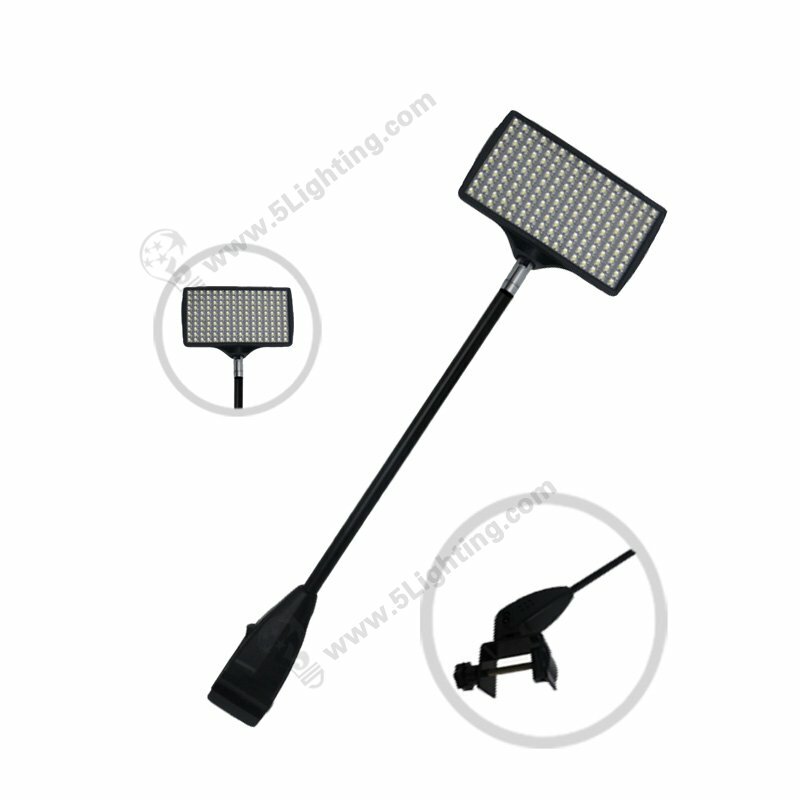 The voltage is only produced by 12 V and lumen is 1000Lm, which can produce light brighter and softer than the normal light. 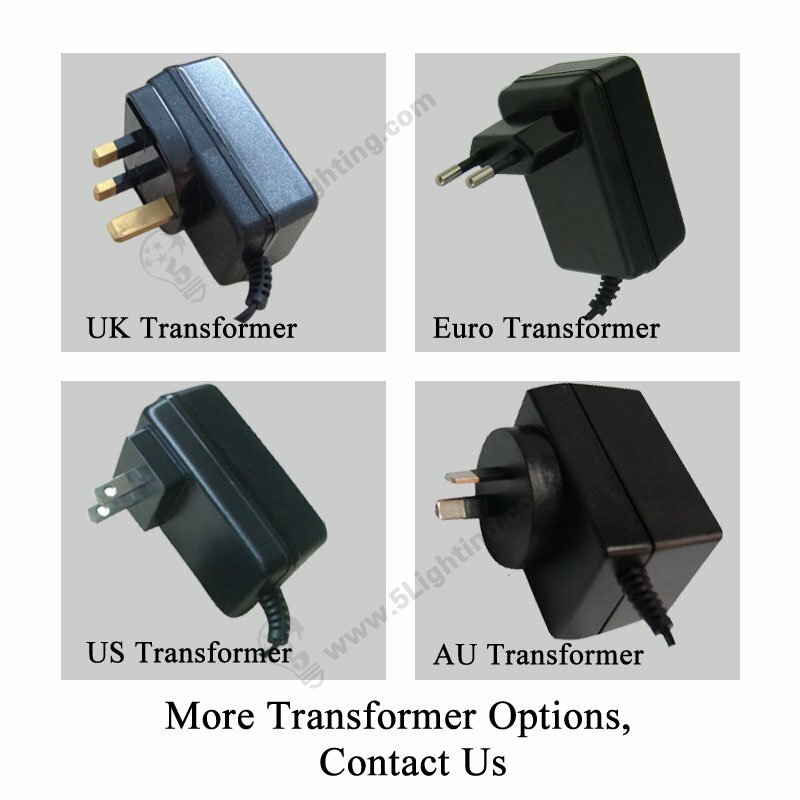 e) Its tail clip is made of high quality aluminum material, special thickness design, higher clamping force and safer use. 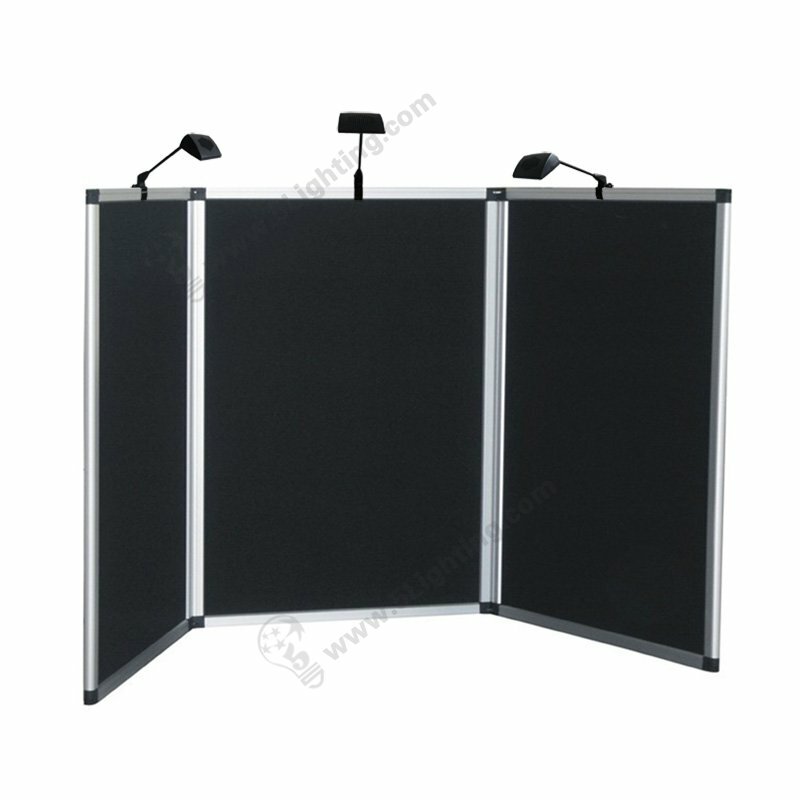 f) 12 watts trade show lights for folding panels’finish color has silvery and black, and light appearance with cool white and warm white, CCT also can be customized according to the customer’s needs. It issuitable for Panel board display and other exhibition/trade fair advertising panel display booth, like tri-fold display panel etc. 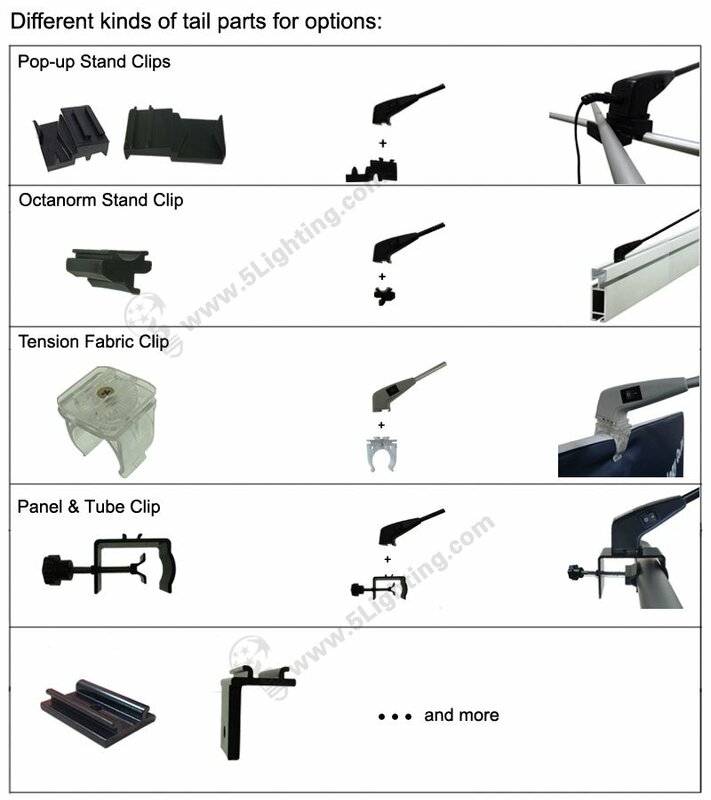 Panel Display Board Lighting With Multi Clip LXD12-002-A, 21V,1A, Exhibition display lights that easy installation for folding panel board applications.